Expert Angler and Fishing Guide Joseph G. with his Dart caught on Grande Is. in Subic. This species of Pompano is a member of the Carangidae family of jacks and pompanos. It is found around the Philippines often close to shore near reefs, lagoons, and along sandy beaches. These fish travel in pairs or small groups and often feed near the surface on small fish. Like other jacks and pompanos this species makes great table fare. The elongated shape of this species along with its small spots on the sides help identify the fish. 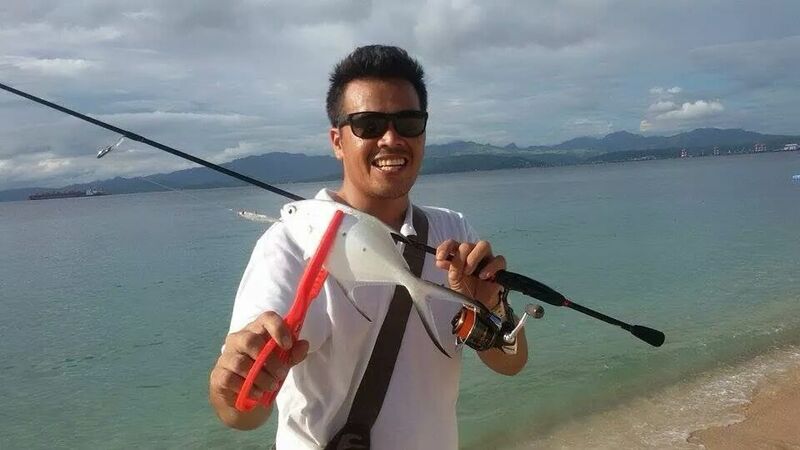 Joseph caught the fish above on a small lure while casting from Grande Island near Subic. Posted on July 12, 2014, in Pompano, Trevally (Talakitok). Bookmark the permalink. Leave a comment.